Ignorance breeds prejudice, and misinformation multiplies the harm. Among religious communities, this dynamic of confusion becomes vulnerable to extremist manipulation on all sides, and is particularly volatile if there is no communication among the more moderate and responsible elements within those respective communities. While there are various ways such communication can take place, interfaith dialogue is certainly among the most effective. The nature and objectives of interfaith dialogue, however, are unclear to many people. Some Muslims, for example, oppose interfaith dialogue, suggesting that it is part of ecumenism, and ecumenism is Christian. Similarly, some Evangelical Christian churches also call the mainstream Christians who participate in interfaith dialogue “infidels.” Removing this confusion by delineating what interfaith dialogue is and how it works is not only necessary, it is imperative. 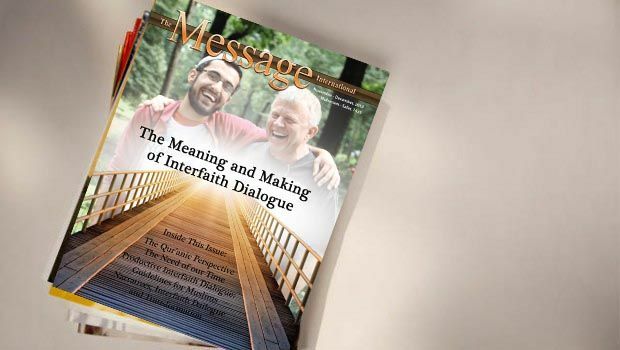 Interfaith dialogue is a way of communication among religious communities that helps the dialogue partners understand each other’s beliefs, values, and concerns. Contrary to what many people think or suggest, the goal of this dialogue is not to eliminate differences of opinion and create a new religion, nor is it meant for seeking ways to defeat or silence others. Rather, its purpose is to create mutual understanding among the adherents of different faiths and traditions so that peaceful and meaningful co-existence becomes a reality. Interfaith dialogue can take place and advance its aims if the participants demonstrate mutual respect and sincere commitment. All parties have to be willing to work together for a common purpose while keeping their proper manners, humbleness, truthfulness, fairness, and overall goodwill alive and active. Participants must be keen to uphold and preserve the right and freedom of worship for all people under all circumstances, and to acknowledge the legitimacy (in the most primary sense: “there is no coercion in religion” – 2:256) and depth of devotion of another’s belief even when it differs significantly from one’s own faith tradition. It is unfortunate that some Muslims, typically those who hold extremely conservative and narrow minded views, vigorously campaign against interfaith dialogue, citing Qur’anic verses such as: “It is He Who has sent His Messenger with guidance and the religion of Truth that he may proclaim it over all religions, even though the disbelievers may detest [it]” (61:9).They claim that this verse condemns interfaith dialogue. However, analysing this verse within a wider Islamic context, analysts have suggested that such an interpretation is incorrect. As noted by M. Shafiq and Abu-Nimar, the essence and instruction of this verse bring us to the realization that, “first, Islam is the message of truth and that Muslims have to do their best to spread it. Second, some people always resist the truth when it is brought to their community. And third, Muslims must be ready to face the ensuing consequences and find positive ways to deal with them. As we know, truth cannot be spread amidst hostility, but only with proper behavior and patience. One has to do one’s best to create a peaceful environment of trust. The Prophet (saas) provided us with such a model when he signed the Treaty of Hudaybiyyah with his Makkan opponents, the very ones who had expelled him and his followers from Makkah. He could see that this treaty would lead to peace and that by signing it, the Muslims would be able to move freely in a peaceful atmosphere and spread Islam. This verse demands that Muslims build good relations with others” (Interfaith Dialogue: A Guide for Muslims, VA: IIIT, p.8). Sadly, it’s too common that some people perform religious rituals and practice religious traditions without understanding and internalizing the meaning and the implications of the teachings. If they make meager effort to understand their own religion in a deeper way, we should not be surprised that they are little inclined to try and understand the beliefs and traditions of others. They fail to recognize the fact that diversity in religious beliefs and traditions must not be judged by human beings, for it is the domain of the Divine. As a believer in a particular religion, one is certainly entitled to propagate his/her belief including warning people that “rejection of [true and correct] belief in God will surely have consequences in the afterlife.” But a believer has to accept the reality that it’s up to God to determine the recompense for each individual. So, human freedom and choice must not be denied in this world under any pretext. Interfaith dialogue speaks for this right and thereby creates a better and more tolerant environment. It facilitates mutual understanding and promotes peace, justice, and harmony in a pluralistic society. Every conscientious person therefore should support and work for this great cause. Dr. Mahbubur Rahman Dr. Mahbubur Rahman is the Editor of The Message magazine.